Motorcycle Tips and Game Reviews, Sit Back and Enjoy. Leaked 360 Battlefield 3 Gameplay! The most anticipated game of the year has now been unveiled. Leaked gameplay of battlefield 3 has now hit video hosting servers like a mad cow! This crazy situation might end with the alpha stage of the game being leaked for 360 dev units out there. Gameplay videos are very low quality, but they are still enjoyable. Enjoy this epic moment! Long time and newfound fans of Mortal Kombat must check out the new Mini-Series Machinima has created! Though the stories represents the mini-series director's take on the Mortal Kombat Universe, it still is a must watch series! You will not regret watching these short films! 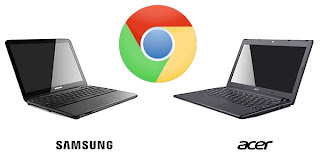 After long talks about Google's Chrome OS, Google is finally releasing their OS along with their ChromeBooks. ChromeBooks coming into the market with very interesting specifications. Specifications on each Chromebook seem to be that of a netbook. Which it is understandable as the ChromeOS is mainly dedicated for websurfing. Nevertheless, prices are a bit steep. Netbooks having the same specifications and having the ability in installing windows 7 and/or linux and coming in at a cheaper price give very much favor in purchasing a netbook even more appealing over a Chromebook. One feature I did notice which is very appealing to me is the screen size of the both ChromeBooks. Ranging from 11.6" to 12.1" making these Chromebooks not to take lightly.